Necessary vaccinations to keep them protected from disease. Gas and tolls for our mobile unit to pick them up in New Jersey. Medical and surgical care for an animal with unknown beginnings. My name is River, but I was once a very sad and unhealthy dog named Greta. I am just one of the 250 dogs the SPCA of Tompkins County transported to Ithaca from high-kill shelters all over the U.S. since 2015. Gifts from people like you have saved dogs like me. Before I was lucky enough to have a home with a warm bed, a cat sister, Maggie (also an SPCA alumna), and regular walks on a leash, I was once an owner surrender at a high-kill shelter in Mississippi. I had very poor body condition, bad arthritis in my elbows, and on top of all that I was grossly overweight at 93 pounds. Because of my size no one wanted to adopt me. I was in real danger of being euthanized. 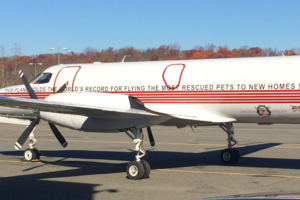 On February 14, 2017, I landed in Buffalo, NY in a very special airplane filled with more than 100 dogs from the southern part of the United States. Crate after crate was pulled off the plane, one specifically designed for high-volume dog rescue through an amazing organization, Wings of Rescue. Rhonda, Mason, Rhodes, Maverick, Leevi, Jaguar, Java, Tyrone, Shaba, Jacqueline, Casey, Laci and Jackson were among the many on the plane with me. We were scared out of our wits, but an airplane ride to Ithaca was better than certain euthanasia. 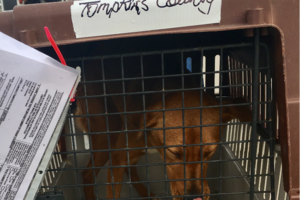 Jim Bouderau, the executive director of the SPCA of Tompkins County, and loyal dog volunteer, Lyndsey Williams, were there to meet us and bring us home. In our video, you can see Jim walking among the crates looking for the ones labelled for Tompkins County. A home! I found a home! Fast-forward seventeen days later: I found my forever home with Scott and Susan on March 2. I never have to worry again about being euthanized for a lack of space in a shelter or rescue. 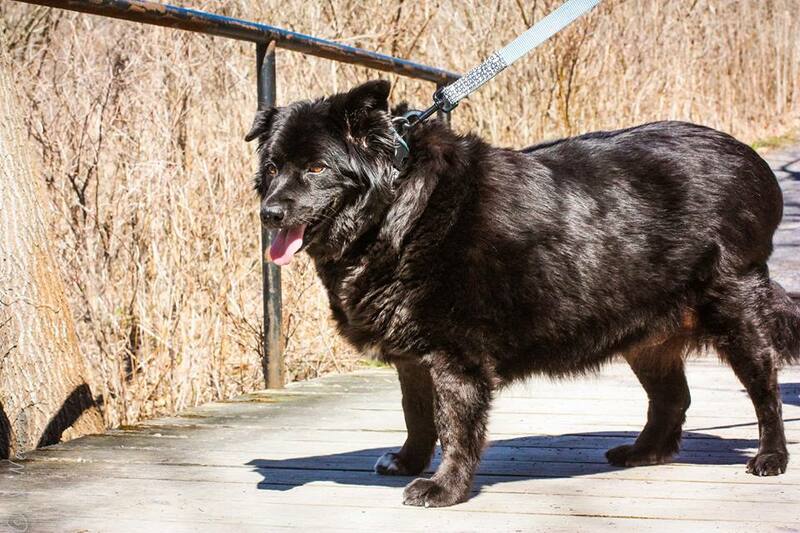 Of the Valentine's Day dogs, I was one of the last to be adopted due to my weight problem, size, and health issues. But look at me now! Slimmer, much happier, well-cared for, tremendously loved, and frankly, ALIVE. 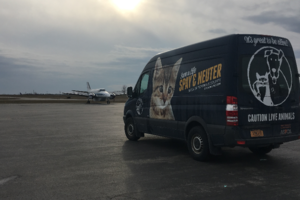 I am tail-waggingly grateful that the SPCA of Tompkins County is one of the shelters leading the movement in embracing--and funding--animal transports from high-kill shelters. 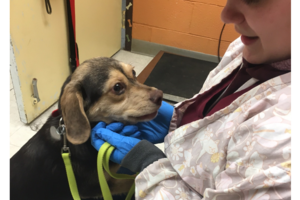 In 2016 alone, the SPCA of Tompkins County transported 144 dogs from 16 different shelters all over the south as well as 13 cats from regional shelters. In 2017, the shelter continues to bring dogs and cats destined for euthanasia to Ithaca and will have a additional transports in May and June. Your gifts to the SPCA have made these transports possible. Will you please make a gift today to allow the SPCA to continue saving cats and dogs like me from certain euthanasia?